Our aim here at Regent Beauty is to provide our clients with a high standard of Beauty Therapy in a small intimate environment. We believe everyone should have our undivided attention throughout your treatment without being interuppted. Our small private Beauty room is a place for you to relax and unwind whilst being pampered. We pride ourselves on our use of natural products, everything we use is kind and gentle to the skin or nails. We look forward to seeing you and hope you enjoy your time at Regent Beauty. Hayley has over 10 years experience within the beauty industry. 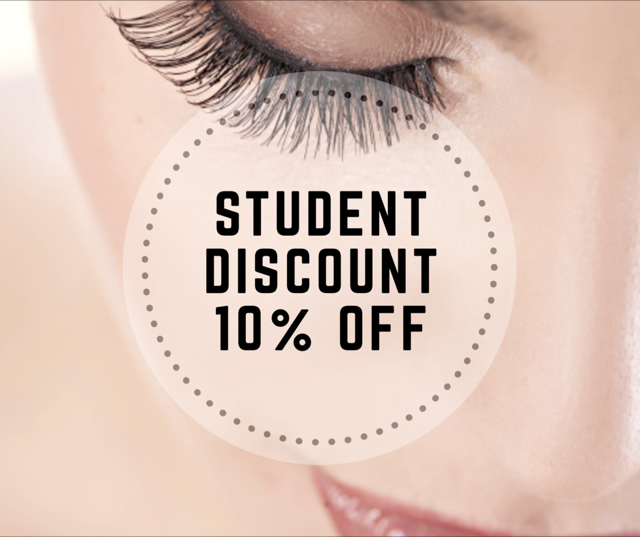 She is qualified in Beauty Therapy NVQ 1,2 & 3 and also went on to achieve her certificates in Calgel overlays and individual eyelash extensions. Working from the bottom she has worked her way up to helping manage a salon where she was a beautician for 9 years. In 2016 she decided it was time to set up a business of her own, this is when Regent Beauty was established. It was her main priority to create an intimate environment for clients to come and have treatments without feeling exposed and to give the client her absolute attention throughout the duration of the treatment. Heather joined Regent Beauty in March 2018 as a part time therapist. She is qualified in Beauty Therapy NVQ 2 and also has her certificate in make up application. She is eager to expand her qualifications over the foreseeable future. She is passionate about the beauty industry and is caring and gentle when treating clients. She also believes the client should have the undivided attention of the therapist during all treatments which is why she is a perfect addition to the Regent Beauty team. Brands we have chosen to work with. For our skincare we have chosen Eve Taylor. Eve Taylor was originally founded in London in 1963, and is now widely available throughout the UK and internationally. It is a professional only product meaning it is only available in Salon for professional use or to retail to clients. All natural and paraben free, the Eve Taylor products smell beautiful with pre blended essential oils while giving you beautiful skin. In 2008 Eve Taylor herself was awarded an OBE by her majesty the Queen of England for her contribution to the profession and industry. Calgel is the brand we have chosen for our gel overlays. Calgel allows and encourages nail growth whist providing beautiful, long lasting nails. Working best over the natural nail, calgel allows air and moisture to pass through the layers of the gel so nails do not become dehydrated. Calgel is extremely hard wearing; its strength is in its flexibility as it acts as a shock absorber on the natural nail, removing the risk of chipping and cracking. Soaking off Calgel is quick and easy but is extremely important its done in the correct way. The nail will be left damage free and ready to either have it re applied or to leave bare. We also use INK London gel polish for manicures and pedicures. This is a gel polish that is dry straight away. It is an affordable treatment which can last up to 2 weeks on the hands. INK do not test on animals. The application of the INK xlac gel polish is quick and consists of only a bonder base and 2 coats of colour. Perfect for special occasions or if your in need of a quick fix manicure! For our lash extensions we use lash fx. Lash fx design various different lash extensions from natural to Russian volume. Because the eye area is sensitive you can trust lash fx only use the highest quality ingredients and never comprise with inferior products or adhesives. We also retail Nu Skin products. Founded in 1984, Nu skin now operates around most of the world including Europe, Asia and America. The company sells over 200 products under the Nu Skin and pharmanex Brands. They pride themselves on their innovative anti ageing products and dietary supplements. They partner with the feed the children charity and have helped to provide less fortunate countries with food.